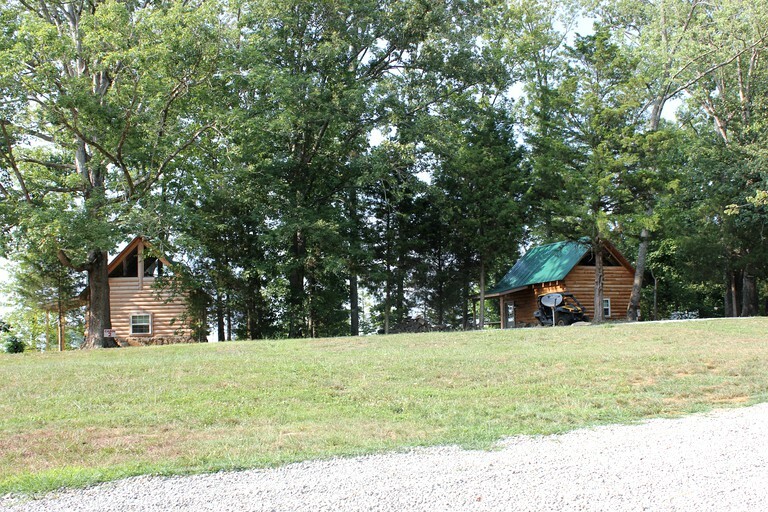 This vacation cabin is located in Columbia, Kentucky, and can accommodate six guests. There are two bedrooms and one full bathroom. The first bedroom has a queen-size bed. 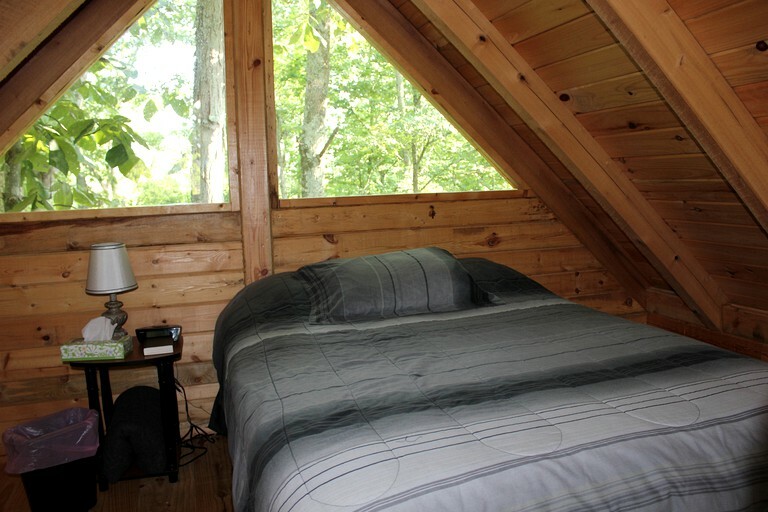 The second bedroom is located in the loft and has a double bed. 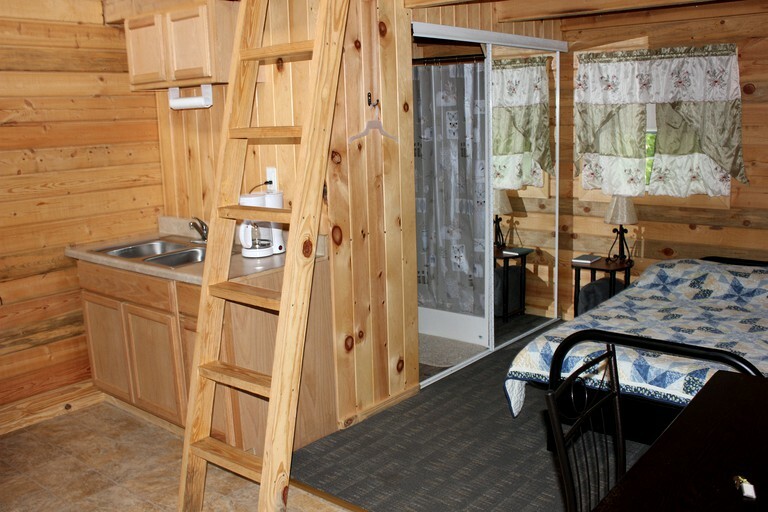 In the bathroom, guests will find a toilet, a sink, and a shower. Linens and towels are provided. Basic toiletries are provided. 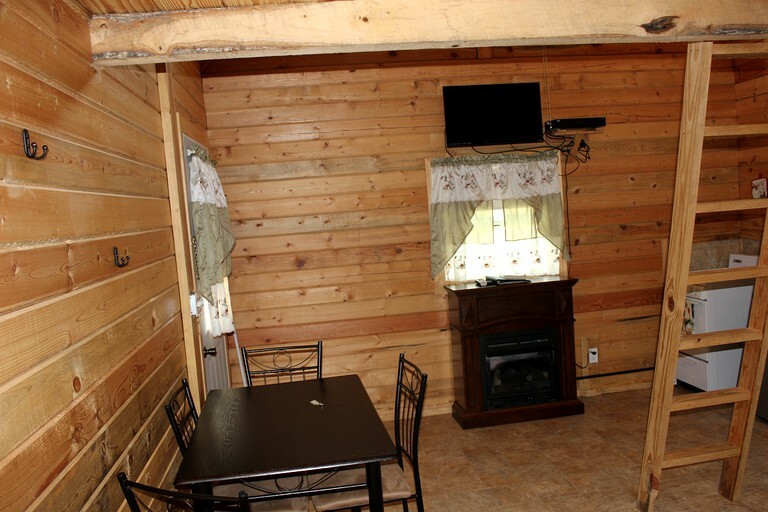 In the living room, guests will find a flat screen television and a gas log fireplace. 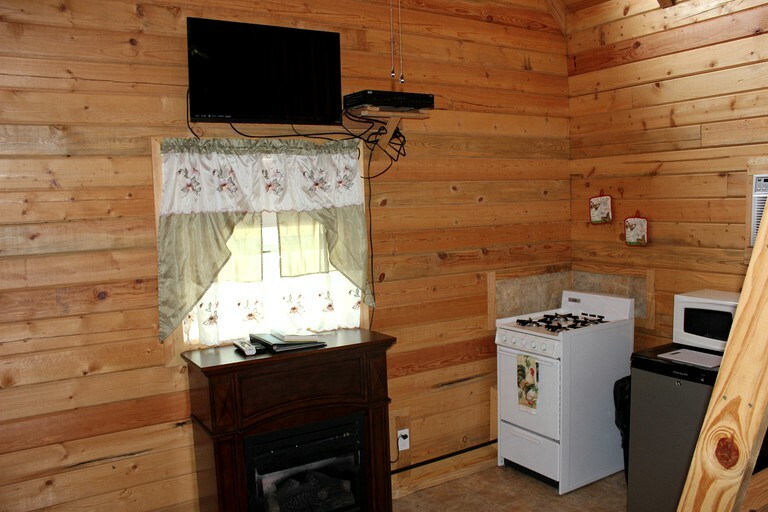 The fully equipped kitchen comes with cooking utensils, dishes, a microwave, a toaster, a stove, an oven, oven mitts, a refrigerator, a coffee pot, and coffee filters. Coffee, creamer, sugar, salt, and pepper are also provided. 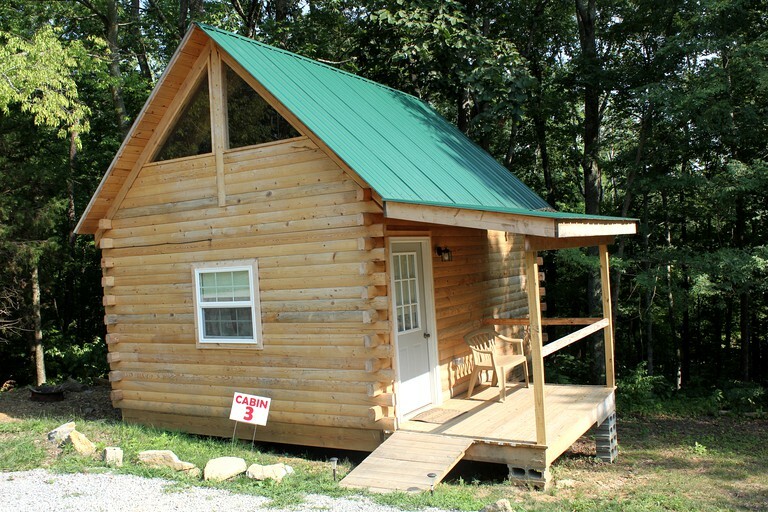 Other amenities include Wi-Fi, a flat screen television, and a gas log fireplace.